Home/Blog/Roofing/Is Your Flat Roof At The End Of Its Life? The Pantheon in Rome is one of the oldest buildings on earth, and it has a hole in its roof. It was designed to have a hole, and any rain infiltrating through the 25-foot hole is drained off the slightly slanted floor. No roof lasts forever, and in the Fort Lauderdale area, wind and weather wear down roofs very fast. Here are four tell-tale signs you need a new low-slope (flat) roof. 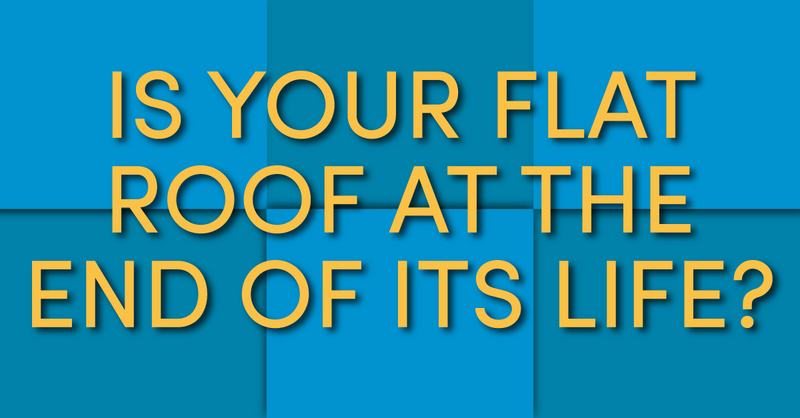 This is a leading signal — one your local, trustworthy commercial roofer can help you notice. If you are calling in your roofing partner with increasing frequency, your roof may be near the end of its useful life. At some point, you need to consider whether the cost for another round of repair is justified over spending more on a whole new roof. FacilitiesNet tells us that even the best repairs or the most adept maintenance crew sometimes cannot keep up with roof repairs. If building maintenance can no longer address the leakage, the problem is too widespread for anything other than re-roofing. The EPDM (synthetic rubber), TPO, and PVC membranes may all perform well across the expanse; however, where transitions occur at roof-to-wall tie-ins, you often find water infiltration, weakened mechanical fasteners, or seam failure. Heavy weather can age a roof very fast. Your roof may have a chronological age of only a decade, but wind scour, uplift, seam separation, driven rain, and debris can all take a toll on the roofing material. A prematurely aged roof can happen after only a few hard hurricane seasons. Before your roof is completely finished, contact the professionals of PSI Roofing. Our representatives can inspect your roof, plan a strategy for increasing lifespan or immediate replacement, and help you develop a workable timeline to get the job done.